I have received numerous emails requesting more information on Dodd Frank and its impact on seller financing. The following is a recent radio show I participated in with my friend Norman Reid wherein we discussed Dodd Frank in detail. Invaluable information here!!! If your doing any sort of seller financing this is great to listen to! Hi Clint, Another Dodd Frank speaker has said that an investor lending to an owner occupant but does less than 5 loans per year is exempt from Dodd Frank compliance. Do you have comments? I’ve read somewhere in the CFPB doc maze about 3 loans per year. Given how heavy handed this law is I just can’t believe that if you only do say 3/yr that you do balloons, prepay penalty and charge 20% interest rate and there’s no need to capture any borrower doc, do affordability? Just doesn’t make sense given the bigger DF picture that it’s 2013 business as usual under 2014 DF as long as you only do 3 (or 5) loans per year.. The rule is less than 3. Correct the law is capturing everyone in its net. This is what happens when you do not clearly define a piece of regulation. Hi Clint, After listening to this podcast, my mentor who is also a Jd is saying that lease option, sandwich lease are not in violation of Dodd Frank because it is not a sales agreement. The simple issue is that an option or a lease with an option is NOT a sales agreement and therefore in my opinion does not apply. A sales agreement is a completely different legal instrument AKA an option. 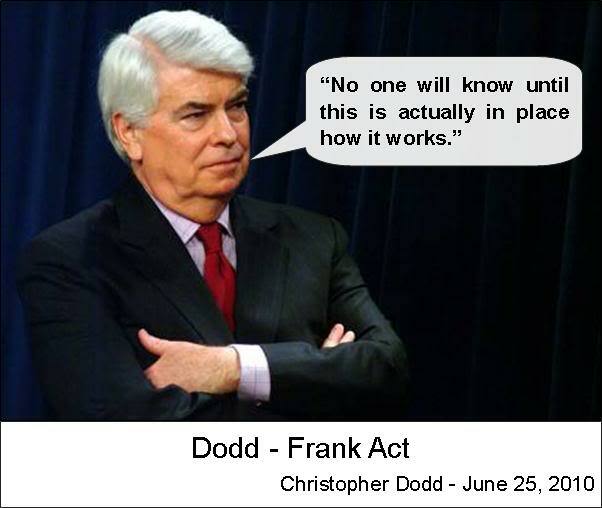 Dodd Frank which is over 45,000 pages deal with finance and regulation of liens, real estate sales etc. A rent credit is a discount to the purchase price IF the option is exercised normally in a sandwich lease. It is not related to financing but a price reduction as it relates to normal negotiation in any business. A rent credit does not necessarily have to be included in a Lease Purchase. Majority of my transactions on a personal note are simply Arbitrage assignments of the option agreement without a rent credit. He is correct provided the lease option does not provide for a credit of payments against the purchase price. In some lease options, the agreement is structured as a partial sale i.e., the lessee is buying down the property over the term of the agreement. If you are putting together a straight lease option without any credits then you are correct in your statement.